As it is a very user-friendly product, spare parts are always available. There is no problem with the condition of consumption. This review is about item#2301022. Adjustment of welding parts, etc. I think that it is good because it is relatively cheap and the quality is not bad. I thought it would be better if the decline was a little slower. Moderately flexible and easy to polish more accurately than paper. However, centering is difficult because there is height when attaching a designated back plate. This review is about item#69301803. This review is about item#2300986. You can polish tightly. Perhaps there are other companies' oranges? What? (There is not much difference though much) I am using this because the price is cheap. This review is about item#02301022. Until now, the same thing was purchased by another company, but here it is saved because the price can be purchased cheaply at all. This review is about item#2301013. You can scrape well, it is comfortable to use. For other manufacturers, I have often seen it. Super green is very good condition of cutting speed and abrasion. Can you scrape it for a reasonable length of time? This review is about item#2301004. Changes are getting better than before. I feel that consumption is fast as much. It is better than things from other companies and there is not much clogging, but I am dissatisfied with the high price. It is used for roughening the sharpening of the blade. I am satisfied that I can polish very well. The eyes, that is, less workability is very good. Wrought iron plate welding and used for polishing. Eating well on places to be polished, less prone to wear and economical. It is considerably better than brown super F II which I used to date. The craftsman says that. This review is about item#2300995. This review is about item#02300995. I have a good hold and a good finish. This review is about item#02301013. Sheet metal sheet finishing, frog picking and so on. It lasts longer than skill touch. This review is about item#02300986. It is easy to use. 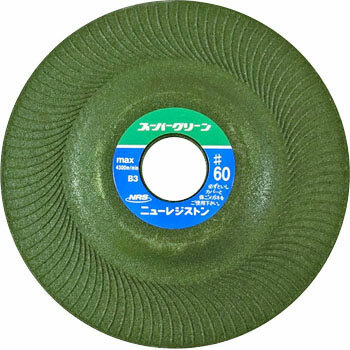 There are many types of abrasive, but I am using only this because it meets my workability. I am using # 36 as a standard product. If it is a grinding work of tensile strength steel it will get clogged unless you work by putting effort. The new article is standing edge, I'm worried about scratching too much to the item. I am using this product considering the balance between price and finish. If it is an item that does not fly in the finish, it is good to go from rough grinding to finishing without changing the stone.